7 Quick Ideas You Can Change On Your Website To Attract More Customers. How frequently do you update your website? Truth is no business is ever done with their website. The time of static webpages is dead. Access to dynamic sites makes it easy to change content regularly and affordably. If you don’t update something on your website, even if it is writing a blog post, your competition is doing it. And the faster you implement your changes the better you are communicating your credibility and authority to your audience. 75% of the people who visit a website will rate your company’s credibility based on web design. So, how do you make a good first impression? And how do you make it last? I’ve scoured the web for some of the top web design trends that are shown to impress, make your business stand out, and you can change on your website to attract more customers. Keep your Content Fresh or your visitors will see your outdated content and think your business either isn’t worth contacting or won’t deliver a great experience.This directly affects your bottom line. Your site is your company’s face. Are you dedicating time to keeping up with industry trends, and producing new content? 38% of people will stop engaging with a website if the content or layout is unattractive (Adobe). Keep it Simple so a 3rd grader understands your message.Think like Apple [https://www.apple.com/]. The hardest thing to do is to take copy away. We are constantly wanting to add to our websites. A recent study shows 53% of mobile site visitors will leave a page that takes longer than three seconds to load. And sites that load within five seconds see an increase of 70% in average sessions times. And avoid Flash websites. Drive engagement by storytelling.There is a reason why Instagram and Facebook have invested so heavily in the “Story” functionality, and why so many marketers are capitalizing on it. Your story is a way of sharing photos and videos with your followers. Stories disappear from your profile and Feed after 24 hours unless you add it as a highlight. Your customer is your hero and your brand their sword. Here are 15 Stunning Examples by HubSpot that will inspire you. Use Social media to build stronger and deeper relationships and to establish your brand voice.Integrate your social into your web design and create brand advocates especially among your clients who already are familiar with the quality of service and product you produce. Allow social login, incorporate Facebook reviews on your site, make your content shareable. Use original action photos whenever possible because users are trained to skip over stock photography.If you feel nerdy you can read the whole A/B test that shows that users focus their attention on user generated content (UGC) images or videos that look genuine with real people and objects, and they ignore images that seem to only have decorative purposes. 84% of millennials claim UGC on a website influences their purchasing decision. Make an Impression fast, the first 5 seconds of any website visit is the window that allows your site to explain its value.Don’t make your visitors guess what you do. Your copy should state your brand’s value immediately and succinctly. From a technical aspect, confirm with your web developer how long does it take for your site to load. Sometimes images are much heavier than you think and might be eroding on those 5 seconds. A 100-millisecond delay in load time can hurt conversion rates by up to 7%. Check out these examples and notice the impactful use of the Hero image. Your design needs to deliver a memorable brand experience.How many websites do you remember from last month? It’s a noisy world online, and your site carries your message, your voice, and your personality. Your brand experience is a reflection of your personal experience. Ask your web developer about colors, typography, footers, Hero images, animations, responsiveness, gradients, and many other current features that truly deliver an experience. 77% of agencies believe that poor website user experience is a weakness for their clients (SoDA). Take a look at what the final product looks like. Mention this newsletter and receive 15% off on a new website. 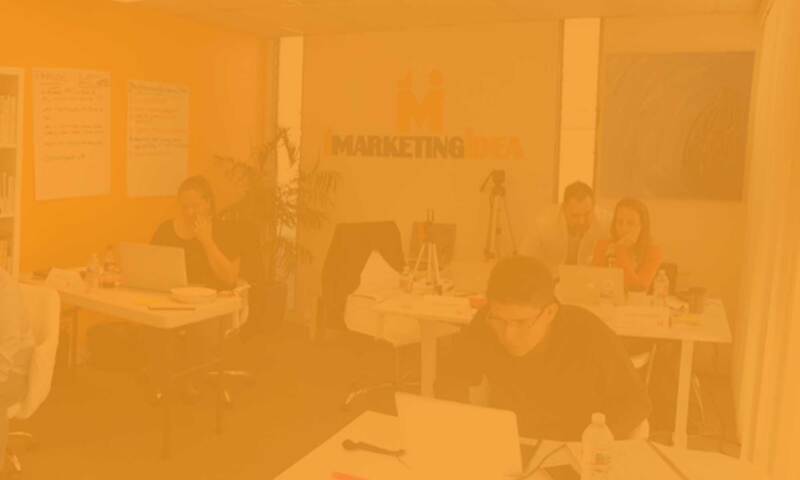 David Wagner is the Lead Consultant at 1marketingidea a digital marketing consulting firm that specializes in social media marketing, websites, email marketing, video marketing, and event marketing. Previous PostPrevious How A/B Testing Yields Higher Conversion Rates?